Radim Zondra, the man who stabbed tennis star, Petra Kvitova, in her home in the Czech Republic, has been sentenced to eight years in jail. Zondra, 33, went to Kvitova’s flat in 2016, pretending to be boiler repairer. He then reportedly grabbed the former Wimbledon champion from behind and held a knife to her throat. She suffered severe wounds to her left hand while fighting to free herself. But she returned to tennis five months later after undergoing a four-hour surgery. The convict, who is currently serving a prison sentence for another crime, was convicted of serious battery and illegal entry into Kvitova’s apartment. 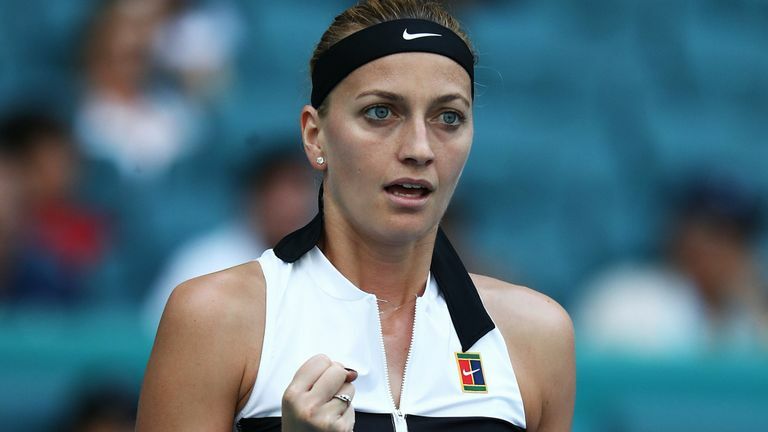 Kvitova, 29, who is currently the world number two, told the court last month that there was “blood all over the place”, after the December 2016 attack. She added that she had offered Zondra money to leave, and that he eventually collected $440, which the court has ordered him to pay back. In her judgment, Judge Dagmar Bordovska said Kvitova’s testimony was credible, while witnesses who testified on behalf of Zondra were unreliable. Although Zondra denied ever being in Kvitova’s home, prosecutors argued that DNA evidence and the positive identification from Kvitova meant he was guilty beyond all doubt. The two-time Wimbledon champion suffered damage to ligaments and tendons in her left playing hand. Doctors warned her at the time that her tennis career could be over, and that she may even lose her fingers. However, she returned to tennis in May 2017, following months of rehabilitation. She reached the Australian Open final in January, where she lost to Japan’s Naomi Osaka.